The traditional French foods of the Massif Central is as much a surprise to me as the amazing countryside. Very untouristy! Can you imagine a place after a long day of hiking; rafting and exploring you sit down to an amazing meal? 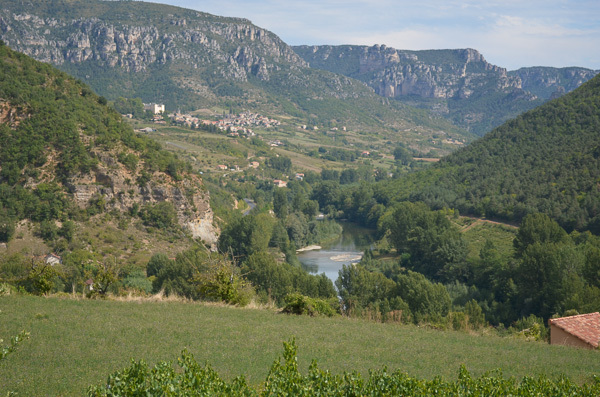 A fantastic place to explore beautiful river gorges, mountains, museums, château, and EAT! The Massif Central includes the Auvergne area to the east with the spa town of Vichy and the Limosin to the west with the town of Limogess as well as other areas that contribute to the gorgeous landscape. 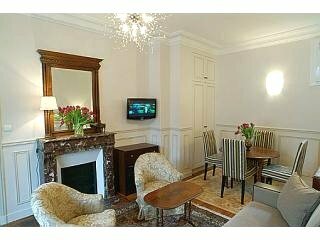 This Region is one of the famous places in France for its ancient Roman spas like in the town of Vichy. Check out these other famous places in France for you to explore. 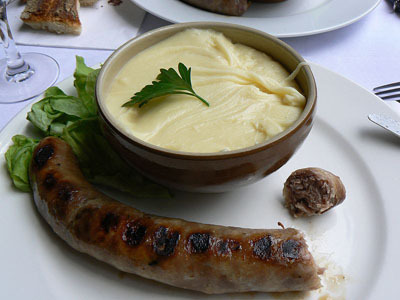 Traditional French Foods of this region consists of deliciously hearty peasant fare. The Auvergne highlands to the east are ideal for raising cattle. Here the famous French food ingredients are cheese, pork, lamb, and beef. The traditional French foods of the region figure into the history of French food in a big way. Chantal: possibly the oldest French cheese. Made over 2000 years ago. Similar to cheddar in color and taste. Saint-Nectaire : Another very old cheese. Named after the town, which has a famous cheese-making district. Flavor of hazelnuts. Forme d’Ambert: Dates back to before the Roman invasion. Originally came from the Forez Mountains in the east. A veined cheese. Has a slight sharp flavor. Aveyron département is famous for its Roquefort cheese, which is made in the village of Roquefort-sur-Soulzon. It can only be called Roquefort if it comes from here. Made from sheep’s milk. It has blue mold running through it. Aged in warm damp caves above the town. 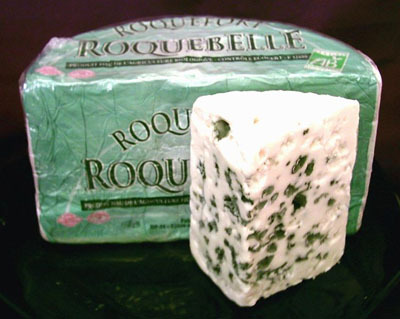 Roquefort is the star ingredient of the Rouerge area. It’s on the French menus of all the restaurants. It’s even used in puff pastries and omlettes. Rump steak with Roquefort is a traditional French foods of the area. In France food plays a big part in the culture. The culture of France has many other facets you will want to experience on your visit. Pork products of this region with their delicious delicate flavor has been highly regarded since before the Roman invasion. Friand Sanflorin (pork with herbs in puff pastry), a specialty of the town of Saint-Flour. Ham slices go into what seems like everything : terrines (potted meats) , omlettes or Vol au vent (puff pastry), and chicken casseroles. 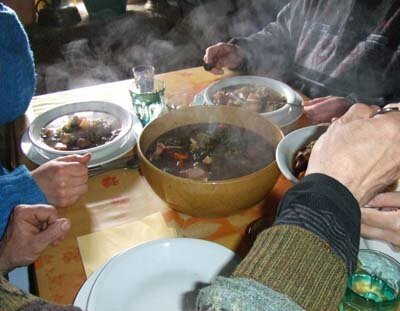 Potée is the traditional peasant stew. You’ll see it on the French menus. It’s one of the popular French foods of the Region. Green puy lentils are famous and often served with sausages. 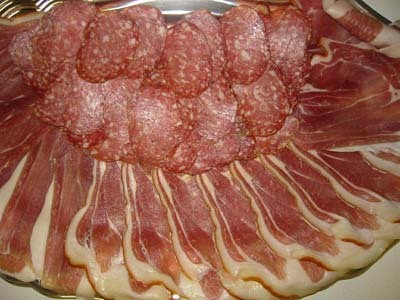 Ficandeau (ham, veal and bacon). A famous local specialty. Wild mushrooms: called cèpes (Limousin Flap mushrooms) Fine and delicate, considered one of the finest French delicacies. Often picked in early Autumn, you might find them for sale on roadside stands. Famous French desserts include fruit jellies and candied fruit from Auvergne. 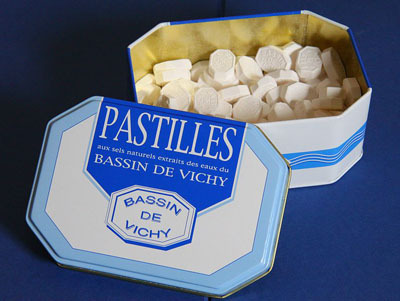 Vichy candy is very famous.